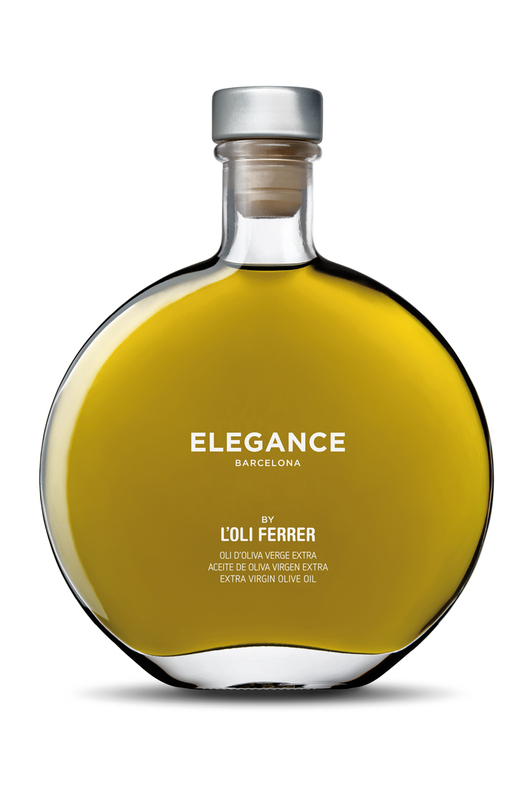 ELEGANCE BARCELONA BY L’OLI FERRER extra virgin olive oil, elegant and subtil, a Premium product of superior category, made from selected Arbequina olives of centennial olive trees in the area of Siurana, that are picked at the optimal time of maturity in October to develop a gourmet olive oil of exceptional quality. An extra virgin olive oil (E.V.O.O), with a characteristic of fruity, fresh, high intensity smell and soft sweetness, takes us to the origins of our Mediterranean terroir. 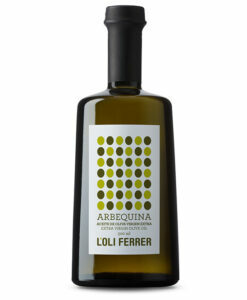 A harmonious and very aromatic olive oil with delicate and elegant taste that transmits its aromatic characters and flavour to the food. That leaves a fruity bouquet in the nose and mouth. The fruity, mature olive is clearly recognisable, reminding one of fresh fruits like green apples, freshly cut grass tomatoes and almonds in the mouth and in the nose.It leaves a sweet taste in the mouth with a slightly pleasant bitter spicy trace. Our extra virgin olive oil, is used both for the preparation of different dishes and also to accompany ready dishes, in modern and traditional cuisine alike. Recommended for use in raw, salads, it is a perfect ingredient to balance and texture of dishes such as fish, pasta, vegetables, salads, carpaccio, cheese, cold soups, bread, rice, and dessert. 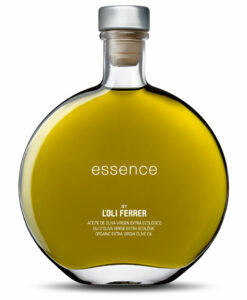 Available in exclusive glass bottles of 200 ml. Protected from light and heat.